James Bond - The Secret Agent: James Bond wish to have kids! James Bond wish to have kids! In 2017 and mainly with 24 film's about James Bond in the bag it is hard to see him as a father. Actually the only time you can feel that James Bond could be a good father is in the 1969 film On her majesty's secret service. Maybe I feel that because that film contains so much love and even a wedding. 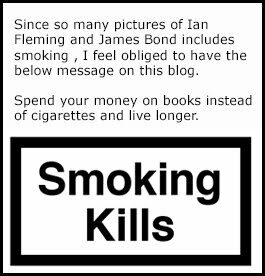 But James Bond is clear on the fact that he wish to have kids in the literary world at least. The strong leading lady Tiffany Case in Ian Flemings 1956 novel Diamonds are forever she asks Bond straight up when they talk about life and why they have not married. ‘Like to have some,’ said Bond shortly. ‘But only when I retire. Not fair on the children otherwise. My job’s not all that secure.’ He looked into his drink and swallowed it down. 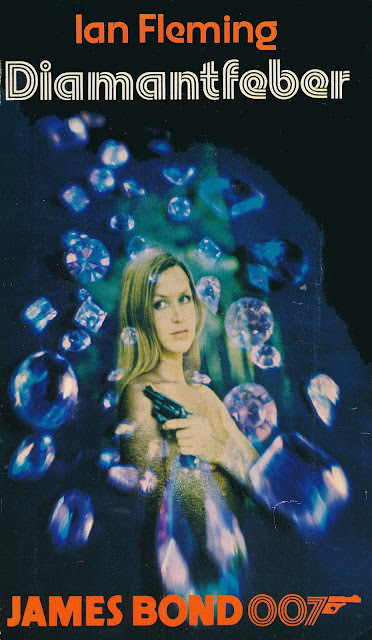 When Ian Fleming wrote Diamonds are forever in 1955 his own son Casper Fleming was only three years old. 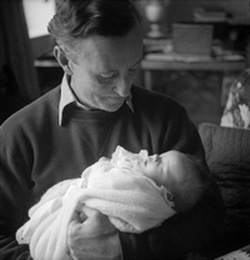 In the below picture from what must be 1952 Ian Fleming holds his newborn son Casper Fleming. Below is a 1973 edition of Diamonds Are forever from Sweden. James Bond poster auction coming your way! His bond to the music of 007! The last and final YOUNG BOND novel...or? Is this the best part of the James Bond books? I am amazed by you kind support!